Once again aspiring mediums will be encouraged to give a short philosophical talk and demonstrate before the ISM Education Team in order to receive constructive feedback on their progression to date. 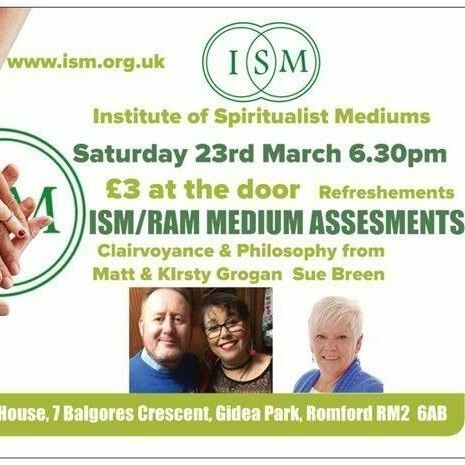 If you would like to take part please contact Doreen Winder, RAM Registrar on 01376 529949 or email her at doreen.winder@outlook.com to learn more about ISM Assessments Click Here. The evening commences at 6.00pm admission of £3 (includes refreshments).